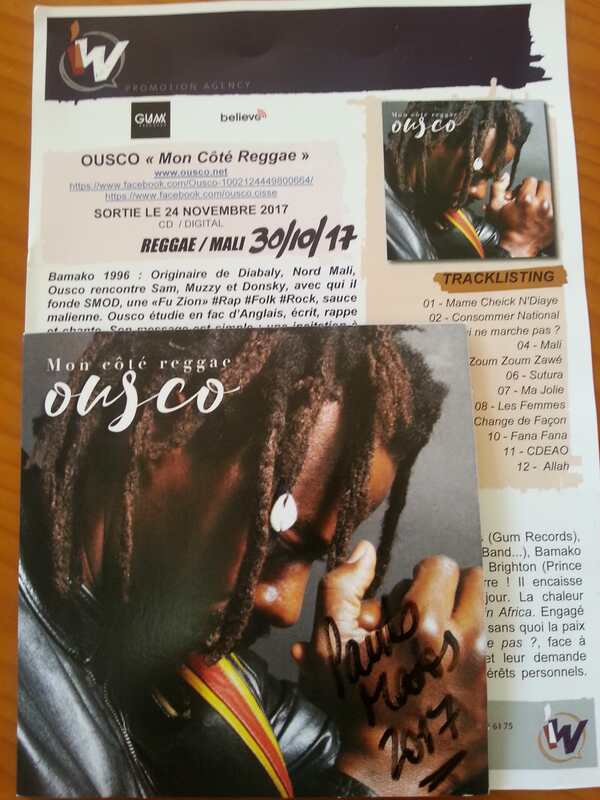 Bamako 1996: Born in Diabaly, northern Mali, Ousco met Sam, Muzzy and Donsky, with whom he founded SMOD, a "Fu Zion" #Rap #Folk #Rock, Malian sauce. Ousco studies in English language, writes, raps and sings. His message is simple: an invitation to peace, to live together. This is how SMOD broadcasts its first two albums all over Mali. 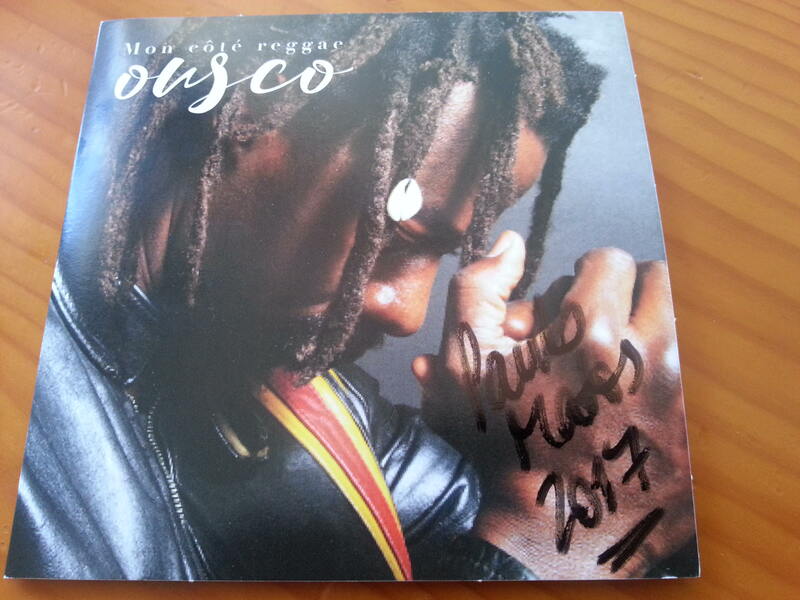 The group is quickly spotted by Manu Chao who produces their third album in which Ousco co-wrote the title Politik Amagni, Golden disc, with Amadou and Mariam and Tiken Jah Fakoly. From Olympia to Central Park, SMOD continues four years of tours full of memorable dates. Ousco likes to move. Between models, recordings and mixings in Paris (Gum Records), Toulouse (Shemoatrankill), Amiens (Citer carter) Dakar (JP Senghor, Djamo Band ...), Bamako (Scotty & Manjul @ Humble Ark Studio), masterings in Abidjan (Studio Vox ), Brighton (Prince Fatty), and photoshoot sessions in Bagnères-De-Bigorre snow! It cash courageously thermal shocks thanks to the ingested pepper every day. The heat accompanies him wherever he goes, normal, he regularly reloads his accusers in Africa . Committed to the pan-African fraternity, for equity and justice in the service of the people, otherwise peace could never become sustainable. In the title What does not work? , facing the emergency, Ousco does not spare the politicians of his country, and legitimately asks them to stop their abuses, to serve the collective interest and not their personal interests. Sincere and courageous text, warm and catchy melodies.